The city air is often thick, even when you climb above it. The layers of atmosphere do funny things in the different light. Early in the day, when the sun is at the right angle, blue light gets lost in the thickness of ocean and smog, shading the layers of the city in cobalt hues. Here is a view of Los Angeles from Griffith Park, the city skyline barely visible in the distance. 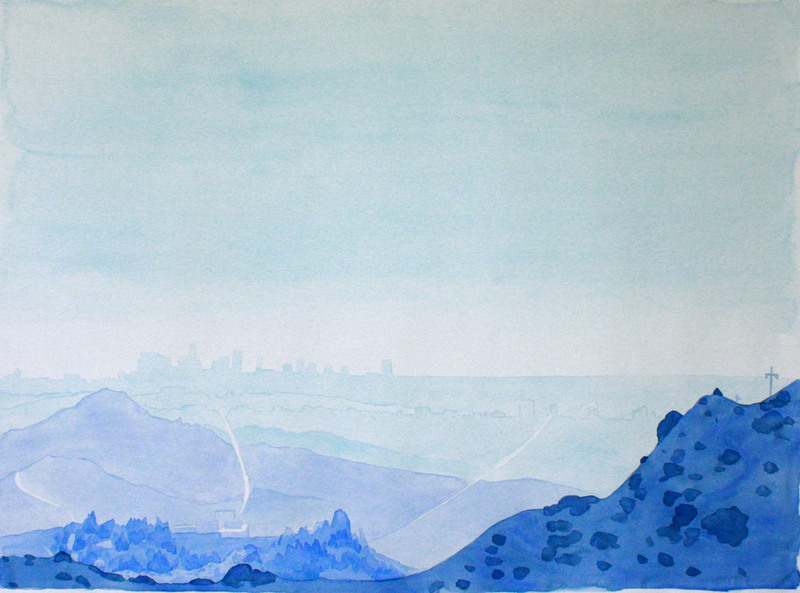 Los Angeles is a large painting, about 44 x 56 inches. Only three shades of blue were used to paint the piece.